These resources demonstrate how to properly reconstitute Cysview and instill it in your patients. This video walks the viewer through the steps of Cysview Reconstitution and Instillation. This Reconstitution Guide provides step-by-step instructions for reconstituting Cysview. 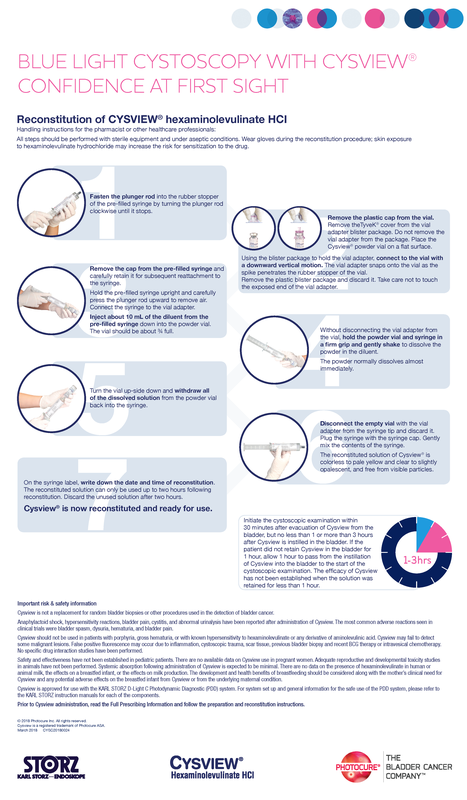 This Reconstitution Poster can hang on your wall to provide easy reference to the step-by-step instructions for reconstituting Cysview. 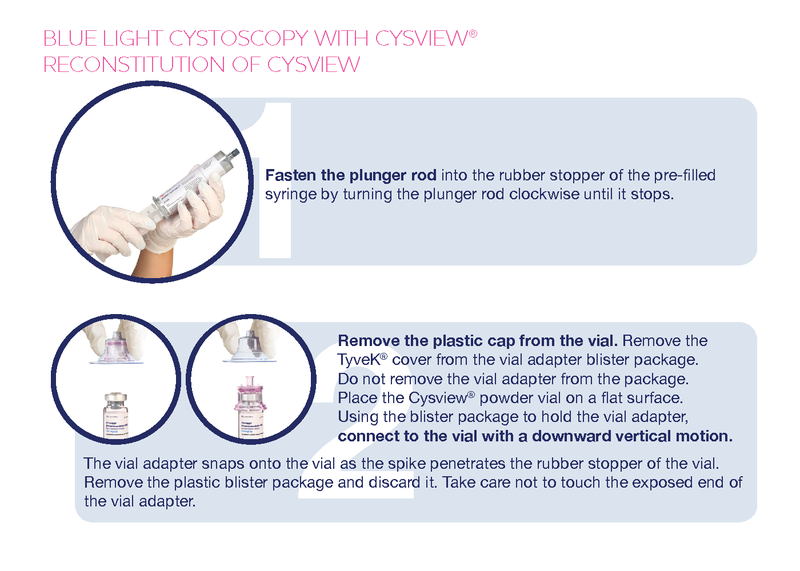 For questions about or assistance with the Cysview reconstitution and instillation process, speak with your Cysview Surgical Sales Executive or contact us.